We found this sign at the mall this morning. 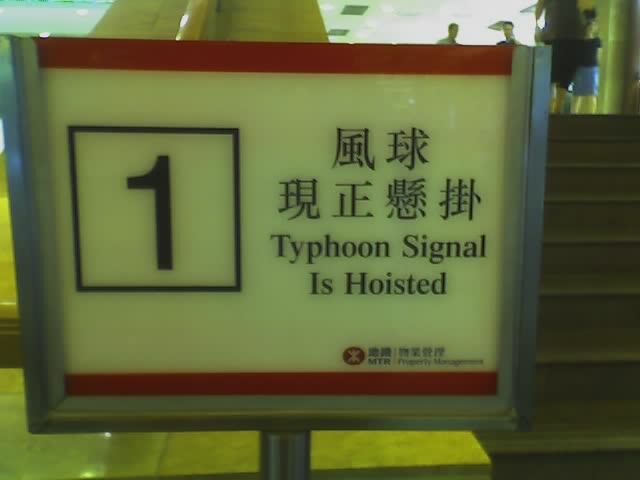 Well, the first typhoon signal to be hoisted since we arrived was done so today. Tropical Storm 03W is currently located at 17.3 N and 114.7 E. It doesn't appear to be a threat to us today, but it was kind of "fun" nonetheless, to see the sign in the mall. 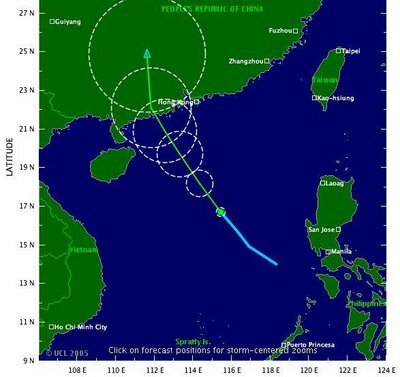 For complete information about it, go to the HK Observatory detailed information site HERE. It is almost a "non-event".